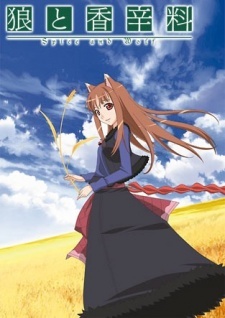 Here are my favorite picks for anime like Spice and Wolf. Keep in mind the list is in no particular order. Enjoy! The Human race has long been at war with the Demon race, and the powerful champion of the human race, Hero, has finally fought his way to confront and kill the king of the Demons. However, when he finally meets her it is definitely not what he was expecting. The two of them become bonded by love and a secret pact is made between Hero and Demon King to engineer equal peace and prosperity for both races. 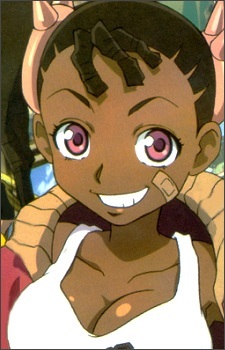 However there is a long road ahead to to prepare both sides to come to peace and a war behind the scenes must be waged. Success will bring an end to the war, but failure will get them branded as traitors and executed. GOSICK takes place in 1924 in a small, made-up European country of Sauville. The story centers on Kazuya Kujo, the third son of a Japanese Imperial soldier, who is a transfer student to St. Marguerite Academy, where urban legends and horror stories are all the rage. There he meets Victorique, a mysterious yet beautiful and brilliant girl who never comes to class and spends her days reading the entire content of the library or solving mysteries that even detectives can’t solve. This story takes place in the Edo era where Yasuri Shichika is the seventh head of the Kyotou school of Japanese sword martial arts living in Fushou Island with his sister Nanami. With the order from a female samurai general Togame, he sets out for a trip to collect the twelve treasured swords created by a legendary swordsmith Shikizaki Kiki. They are neither plants nor animals. They differ from other forms of life such as the micro-organisms and the fungi. Instead they resemble the primeval body of life and are generally known as “Mushi”. Their existence and appearance are unknown to many and only a limited number of humans are aware of them. Ginko is a “Mushi-shi” who travels around to investigate and find out more about the “Mushi”. In the process, he also lends a helping hand to people who face problems with supernatural occurances which may be related to the “Mushi”. An art student named Jin Mikuriya carves a statue from the wood of the Kannagi tree only to have the statue come to life in the form of a goddess, who has now taken over the statue. He and “Nagi” work together to destroy the impurities that are gathering in the town. In an alternate history of the Meiji era where humans and magical beings known as “yōnin” live side by side, half-yōnin girls team up with army lieutenants to fight yōnin wrongdoers.